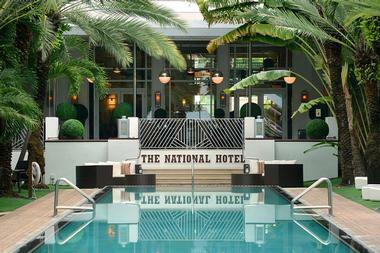 Exuding a cinematic elegance and beautiful period accents dating back to 1939, the National Hotel is tucked away in South Beach’s celebrated Art Deco neighborhood and offers a luxurious, sophisticated seaside retreat. Fringed by swaying palm trees, fragrant bougainvillea and shimmering golden sands, the authentically restored Art Deco landmark resort combines award-winning architectural authenticity with subtle elements of contemporary design to bring the discerning traveler a unique place to stay. Designed by one of the period’s foremost architects, Roy France, the National Hotel boasts 116 exquisitely designed and decorated guest rooms and 36 stylish suites and cabanas, an iconic 200-foot infinity swimming pool, fine dining restaurants and casual bars, 24-hour fitness center, first-class meeting facilities, and a poolside spa. The hotel features many original furnishings, including polished chrome light fixtures, re-upholstered “barrel” chairs in the lobby and lounge, and smooth terrazzo flooring in the Martini Room. The Blues Bar has an expansive original oak bar, and beautifully restored carpeting and chandeliers can be found in the National’s ballroom, the Oval Room. 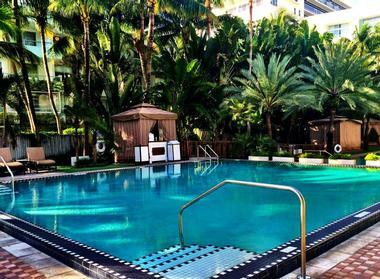 The hotel is situated just four blocks away from the Ocean Drive boardwalk and is a short drive away from several of Miami’s best attractions and activities, including the Miami Beach Golf Club, the Miami Beach Convention Center, and Jungle Island. The National Hotel features newly-renovated luxury accommodations furnished with custom-designed décor in rich reddish-brown tones, exotic hardwoods, and distinctive piano finishes while capped chrome accents add a touch of svelte style. Bedrooms have double, queen, or king-size beds dressed in gorgeous European linens and down feather pillows and modern bathrooms feature terrazzo-tiled walk-in showers, vanities in rich mahogany tones, terry robes, and deluxe bath products. Spacious living areas have flat screen televisions, minibars, and complimentary wireless Internet and private balconies or patios offer beautiful views of the swimming pool or the ocean. Accommodations are situated in the Historic Tower and the Poolside Cabana Wing and are available in various sizes, layouts and levels of luxury. Art Deco City View King or Queen Rooms have beautiful views of the Art Deco District and Miami Beach cityscape and Art Deco District. The rooms feature king or queen-size beds dressed in elegant European linens and down feather pillows and modern bathrooms with terrazzo-tiled walk-in showers, vanities in rich mahogany tones, terry robes, and deluxe bath products. 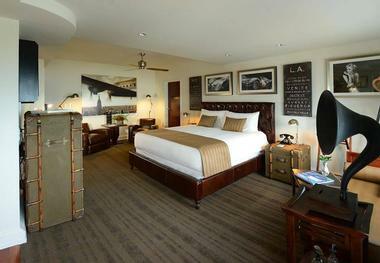 Spacious living areas have work desks with complimentary wireless Internet, flat screen televisions, and mini bars. Art Deco City View Double/Double Rooms feature two double beds with European linens and down feather pillows and modern bathrooms with terrazzo-tiled walk-in showers, vanities in rich mahogany tones, terry robes, and deluxe bath products. Spacious living areas have work desks with complimentary wireless Internet, flat screen televisions, and mini bars. 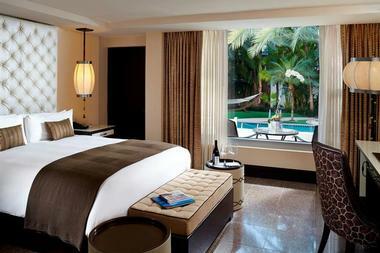 Ocean View King or Queen Rooms boast sweeping views of Miami Beach and the shimmering Atlantic Ocean. These deluxe rooms include king-size beds dressed in gorgeous European linens and down feather pillows and modern bathrooms with terrazzo-tiled walk-in showers, vanities in rich mahogany tones, terry robes, and deluxe bath products. Spacious living areas have work desks with complimentary wireless Internet, flat screen televisions, mini bars, and ocean views. Ocean View Double/Double Rooms enjoy the same features as the Ocean View King or Queen Rooms, however, offer two double beds. Ocean View Suites feature king-size beds dressed in lovely European linens and down feather pillows and modern bathrooms with terrazzo-tiled walk-in showers, vanities in rich mahogany tones, terry robes, and deluxe bath products. Spacious living areas have work desks with complimentary wireless Internet, flat screen televisions, mini bars, and glorious ocean views. Located directly beneath the landmark cupola, the Penthouse adds an extra level of luxury and space. The exquisitely appointed apartment is spread over three floors and features three separate bedrooms with king-size beds, and en-suite bathrooms with terrazzo-tiled walk-in showers, vanities in rich mahogany tones, terry robes, and deluxe bath products. Floor-to-ceiling windows embrace breathtaking Atlantic Ocean views, and expansive living and dining areas offer exclusive suite amenities such as refrigerators, minibars, flat screen televisions, and Bose Stereo sound systems. The triplex Penthouse can be booked as a single apartment or three separate one-bedroom suites. Poolside Cabana Rooms can be found in the Poolside Cabana Wing next to the infinity swimming pool and have large terraces and balconies with lovely views over the swimming pool and the beach. The rooms are 350 square feet in size and feature king or queen size beds dressed in delicate European linens and down feather pillows, and modern bathrooms with terrazzo-tiled walk-in showers, vanities in rich mahogany tones, terry robes, and deluxe bath products. Spacious living areas have work desks with complimentary wireless Internet, flat screen televisions, mini bars, and glorious ocean views. Poolside Cabana Suites are slightly larger at 670 square feet in size and have oversized terraces and balconies with magnificent sea and swimming pool views. Poolside Cabana Suites feature king-size beds in private sleeping areas and queen-size sleeper sofas in the living areas of the suite, and modern bathrooms feature terrazzo-tiled walk-in showers, vanities in rich mahogany tones, terry robes, and deluxe bath products. Standard suite amenities include 40” LCD televisions with entertainment hubs, mini bars, and iPod docking stations, and large work desks have complimentary wireless Internet. The National Hotel offers a variety of dining and entertainment options from casual Mediterranean fare at Tamara Bistro to live blues and jazz music at the Blues Bar. Tamara Bistro dons a stunning mosaic ceiling that reflects the style of the famous period artist, Tamara de Lempicka, after whom the bistro is named. The relaxed eatery serves a gourmet menu of fresh Mediterranean cuisine with a Miami twist for breakfast, lunch and dinner, as well as a special Sunday Jazz Brunch against a backdrop of beautiful views. The Blues Bar is the go-to destination for sumptuous evening cocktails and live blues and jazz music. Designed and decorated in a jazz-era style, the Blues Bar serves a selection of fine wines, champagnes, signature cocktails and imported spirits in a casual, elegant Art Deco setting. The Cabaret is a piano bar that serves light fare and specialty cocktails accompanied by live music seven days a week. The Aqua Pool and Lounge offer stylish poolside dining and cocktails around the iconic infinity swimming pool. The Lounge serves an array of casual fare and light snacks, including fresh salads, grilled meats, and juicy burgers, accompanied by handcrafted tropically-infused cocktails. 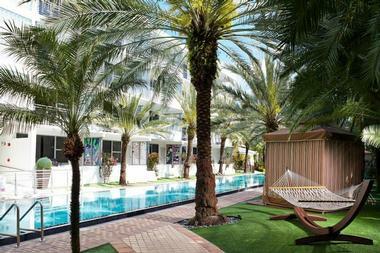 The Aqua Pool and Lounge also offers an exclusive beachfront service. The National Hotel has a variety of first-class facilities and amenities, including a 205-foot-long infinity swimming pool, a second smaller lounge pool and a fully equipped, state-of-the-art fitness center. The hotel also offers modern function and events facilities, an elegant lounge and poolside cabana spa and full concierge services. Guests can enjoy an array of spa services ranging from massages to body treatments in the comfort of their rooms or suites or in the private poolside cabanas or keep fit in the onsite fitness room, which features cardio equipment, a free weights section, treadmills and stationary bikes. Other guest services include a full-service concierge, with daily newspaper delivery, laundry and dry cleaning services, daily and overnight valet parking, and complimentary wireless Internet. The hotel offers an array of private spa services, including massages and various body treatments, which can be enjoyed in the privacy of guest rooms or suites or in the comfortable poolside cabanas. The National Hotel presents a beautiful venue for both special events such as weddings and receptions, as well as business meetings and conferences. With stunning views of the beach, city and swimming pool, the hotel not only offers excellent venues but outstanding onsite dining, top-notch facilities, and amenities and massage services. A professional wedding team provides an array of services for the special day, including indoor and outdoor venue options, customized menus, and audio visual equipment if required. Meetings are catered for in sophisticated venues such as the sophisticated Oval Room and elegant Martini Room. Special events and function services include three flexible meeting spaces to accommodate up to 120 people, full audiovisual services, complimentary high-speed wireless Internet, a dedicated catering manager to assist before and during the event, several outdoor venues for group events. South Beach brims with an array of things to see and do from world-class shopping, dining and nightlife to beautiful beaches, nature parks, art galleries, and museums. The vibrant district is home to a melting pot of cultures, from the stylish Art Deco buildings and luxurious oceanfront residences of South Beach to the lively Cuban cafés and private cigar bars of Little Havana. South Beach is home to some of the world’s most spectacular beaches – long stretches of white sand lapped by turquoise blue waters and filled with people sunbathing, surfing, or beachcombing. Slightly further afield is are the sub-tropical jungles, swamps, prairies of the Everglades National Park, the popular Miami Zoo, and Seaquarium, and the tropical environment of Jungle Island. 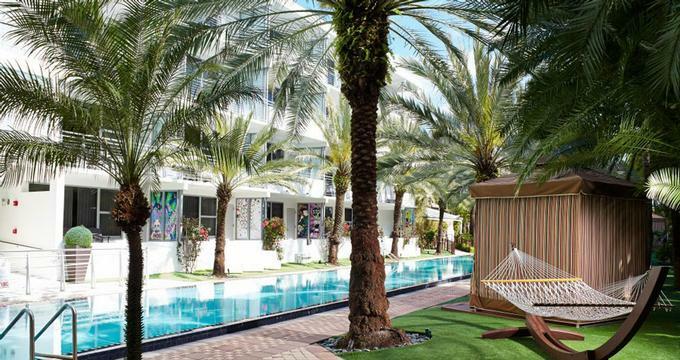 Back to: Romantic weekend getaways, 20 Best Things To Do in Miami This Weekend and 22 Best Romantic Restaurants in Miami, Florida.